Earliest rocking blues numbers 6 to 10. Our countdown begins in the film below . . . Since my voice-over to this earliest rocking blues countdown is some 18 months old now, my top ten rocking blues tracks have since changed due to further research. 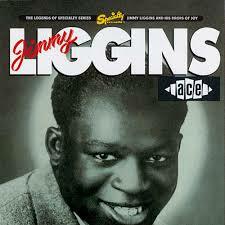 But that shouldn’t stop you enjoying these fabulous old blues tracks that pre-empt rock & roll. Originally a radio broadcast, the film starts with Jimmy Preston singing Rock The Joint, from 1949. This is blues, rock & roll-style, recorded before rock & roll was even named – years before rock & roll was supposed to exist. And Jimmy Preston doesn’t even feature in my top ten rocking blues countdown. He was at number 11, but I thought the song so important I felt I had to squeeze it in – as an introductory song to set the tone. As mentioned, further research has since expanded the ten earliest blues featured in this radio podcast to the 20 earliest blues as listed in my book, America’s Gift. But, I stress these are only my opinions. I’m sure other rock & roll devotees have other lists with different rocking blues songs. And only by publicizing such tracks will the true order of ‘what-rock & roll-songs-came-first’ prevail. In other words, my ten earliest rocking blues songs are already out-of-date, according to my own research. But here they are anyway. Number ten sounds like amazingly Chuck Berry, but it’s from much earlier, from April 1949. It’s a track by an 18-year old Texan, Goree Carter, and his jump blues band, the Hepcats. And number 9 is Rocket 88 Boogies Part 1 and 2, by Big Joe Turner’s blues partner, the boogie woogie pianist, Pete Turner. Big Joe’s namesake, Ike Turner, later covered this song as Jackie Brenton, as you might have seen in the previous film in this series. A song covered by Elvis Presley features at both number 8 and 7. Good Rockin’ Tonight was first recorded by New Orleans’ Roy Brown and then by Nebraska blues shouter, Wynonie Harris. We hear both versions. Coming at number 6 is Cadillac Boogie by Jimmy Liggins & His Drops of Joy, recorded in Los Angeles in 1947 but not released until May 1948. Or go to Amazon UK or Amazon Europe.